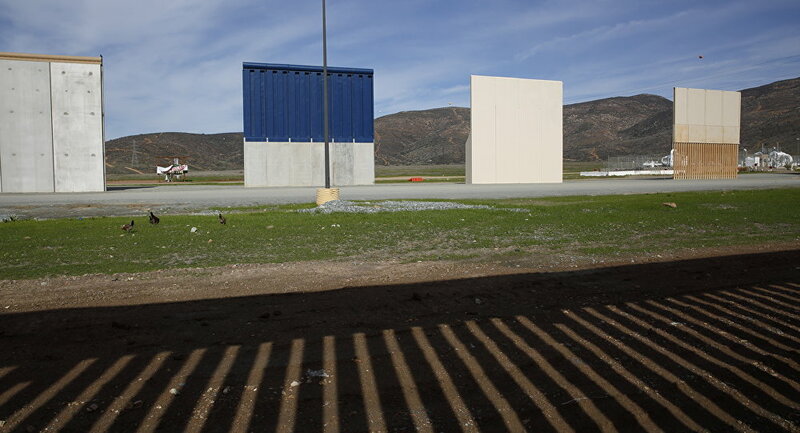 Acting Defence Secretary Patrick Shanahan said Monday, cited by AFP, he had authorized funding to build part of the wall along the US-Mexico border. In particular, Shanahan "authorized the commander of the US Army Corps of Engineers to begin planning and executing up to $1 billion in support to the Department of Homeland Security and Customs and Border Patrol", a Pentagon statement said as quoted by AFP. The Department of Homeland Security has asked the DoD to build 57 miles (92 kilometers) of 18-foot (5.5-meter) fencing, build and improve roads, and install lighting to support Trump's emergency declaration as concerns the border, according to AFP. Last week, the DoD said it had identified $12.8 billion in possible funding that could be used to fulfill Trump's call to construct a border wall. In February, Congress passed a bipartisan appropriations bill that provided the Trump administration with $1.375 billion for a border wall, which was short from the initial $5.7 billion requested by the president. In turn, US President Donald Trump declared a national emergency last month to free up to $8 billion in federal funding to build a wall on the US border with Mexico. Trump has repeatedly said the border is needed to prevent criminals and terrorists from pouring into the United States. Meanwhile, the US House of Representatives is scheduled to hold a vote on Tuesday on whether to override Trump's veto of legislation that would have ended his national emergency declaration over border security. “On March 26, the House will once again act to protect our Constitution and our democracy from the President’s emergency declaration by holding a vote to override his veto”, US House Speaker Nancy Pelosi in the release. Trump issued the first veto of his presidency on March 15, striking down a Congress resolution to end his national emergency, which passed with bipartisan support in both chambers. The US Senate passed the joint resolution with a 59-41 vote on 14 March, while the House passed the resolution with a 245-182 vote on 27 February. The attempt to override Trump’s veto is reportedly expected to fail in the House after only 13 Republicans joined their Democratic colleagues in last month’s vote to block the president’s emergency declaration. Democrats, however, would need more than 50 Republicans to vote against Trump to override his veto. "Whether we can succeed with the number of votes is not the point. We are establishing the intent of Congress", Pelosi said at a press event. In order to override a presidential veto, a two-thirds majority is required in each congressional chamber. Neither the House nor the Senate appear to have enough votes to reach that threshold. Trump’s disagreements with the Democrats on the border wall issue have already resulted in a record 35-day government shutdown that ended in January.